Place Minibar's latest CD, Fly Below the Radar, in your player and get lost in the honey-smooth voice of Simon Petty. This British band, which relocated to Los Angeles in 2000, has delivered a delicate reminder of California of the late 60's and early 70’s. From the first strains of It Is What It Is through the closing moments of Snake Buckle Belt, you will have a deja vu feeling, even if you are too young to remember the heydays of Crosby, Stills, Nash & Young and The Byrds. But don't fret: this is NOT a rehashing of sounds, thoughts and ideas from years past. No, that is not what Minibar and this latest CD are about. It's a vision of sound. With its 12-string acoustic guitars driving the songs forward, Minibar is creating unique music of its own. The band has put its mark on the California sound, making it fresh and new and worth hearing. Fly Below the Radar is full of near-perfect harmonies and ageless emotions that will invade your brain and cause you to take a moment to reflect. Simon, Tim, Sid and Malcolm take pop, mix in some Neil Young and add style of their own to come up with a winner in this world inundated with pop noises not worth the effort it takes to turn on the radio. Get comfortable, kick off your shoes, put on Minibar and let the sounds of New Mexico and Badlands drift you off to another world. It's like a warm desert breeze coming in late in the afternoon. Good one, guys! I am looking forward to more music from this band. 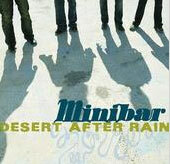 You can check out Minibar at www.minibarmusic.com and you can check out their label at foodchainrecords.com.